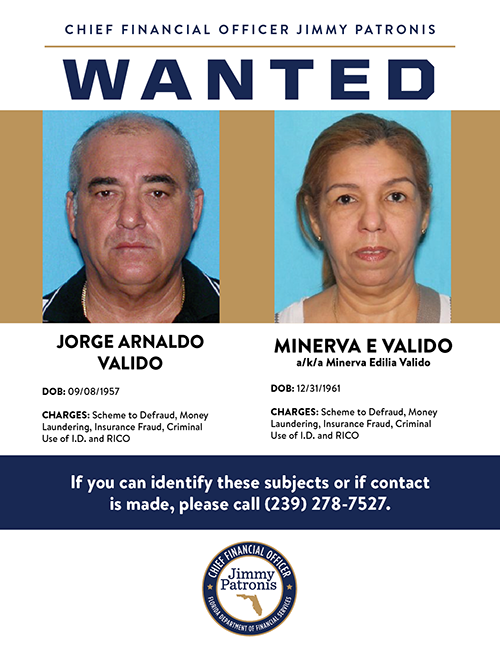 FT. MYERS, Fla., – Chief Financial Officer (CFO) and State Fire Marshal Jimmy Patronis is asking for the public’s help in locating alleged scam artists still at large after a recent $42.7 million insurance fraud bust announced in Ft. Myers last week. 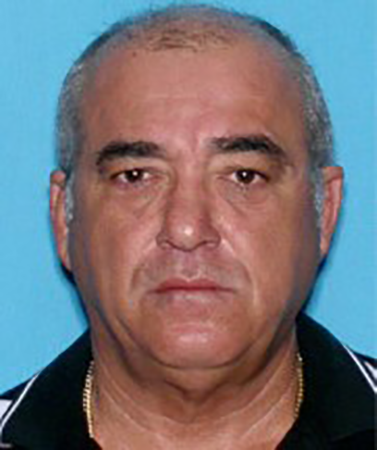 Jorge Valido, a former Miami doctor and ring leader in the fraud scheme is still at large, along with his sister Minerva Valido, an alleged associate in the scheme. 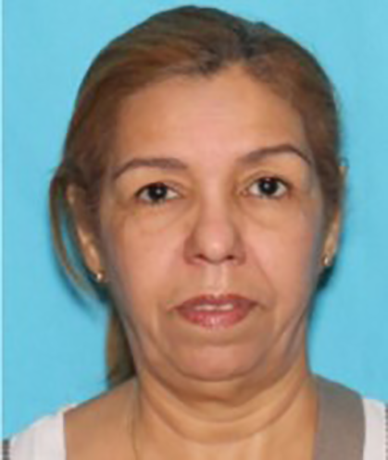 Anyone with any information is encouraged to call the Bureau of Insurance Fraud, Fort Myers field office at (239) 278-7527 or the Fraud Hotline at 800-378-0445. Expanded image of Jorge Valido y Minerva Valido. Chief Financial Officer and State Fire Marshal Jimmy Patronis is a statewide elected official and a member of Florida’s Cabinet, who oversees the Department of Financial Services. El Oficial Principal de Finanzas Patronis trabaja todos los días para luchar contra el fraude de seguros, apoyar a los bomberos de la Florida y garantizar que las finanzas del estado sean estables para respaldar el crecimiento financiero del estado. Siga las actividades del Departamento en Facebook (FLDFS) y Twitter (@FLDFS).